Use this all the time, bought another one for other room. These candles work great! During the winter, I have to enjoy my cigars in the breezeway off the kitchen back door. Before using them, the room reeked of smoke. Amazingly, the candles do a fantastic job at eliminating the smoke odor. It’s long lasting, about a month for the 1st one. I highly recommend this product for you cigar man-cave! I have personally purchased all the flavors offered in these candles, and this is by far my Favorite. 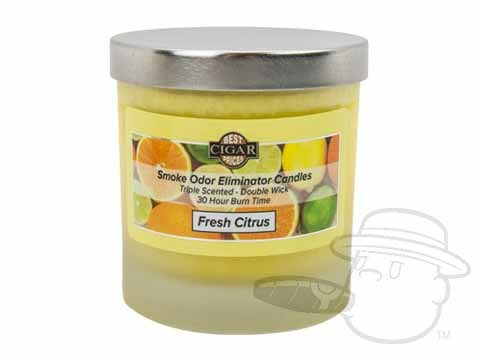 Bcp Smoke Odor Eliminator Candle - Fresh Citrus Scented 30 Hour Burn Time is rated 5 out of 5 based on 5 customer ratings.